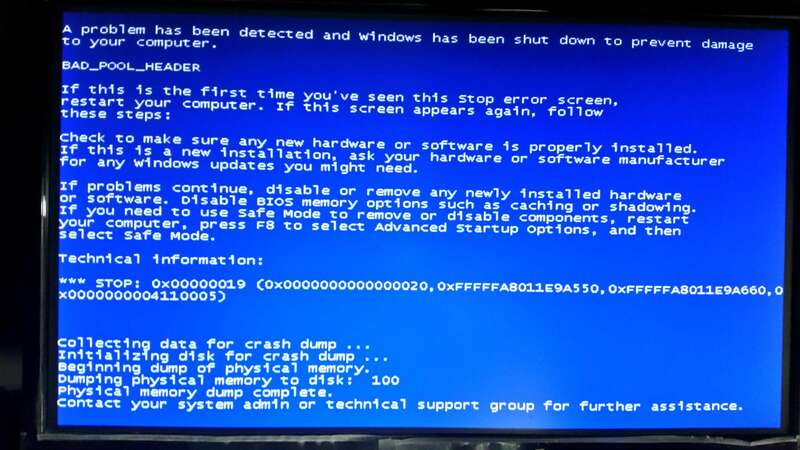 Windows 7: BSOD, and no dump file was found even though dump file anabled. After I install the Killer Suite, it will fixs my BSOD? As for will it fix your BSOD, we won't know until you try it. All you have provided is a picture so give it a try and see how it goes. Please take a look at this thread. That is old info and going off to look in other threads is not how it works if you want relevant help. I really appreciate your help. I would love to show you the dump file, but unfortunately my system didn't create any dump file. There are more than dumps in the file the tool provides and since you made me go look for it even after I pointed it out twice. System Manufacturer:       To Be Filled By O.E.M. System Model:              To Be Filled By O.E.M. You have an ASUS OEM on a retail Asrock board, which makes your install counterfeit. I can sympathize with being financially challenged but we don't provide support for counterfeit products. What is a Dump File on BSOD?